On 53rd Street, a black dog came bolting through the crowd wearing a tutu, leash flapping behind him. Not sure if he was running to or from something. 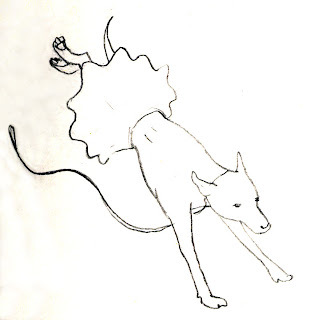 Lovely sense of motion in that dog sketch!